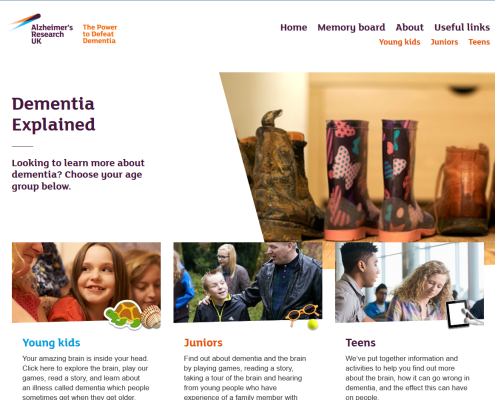 Here are some websites and resources that may be of interest to young people affected by dementia, or to those who want to talk about dementia to young people. 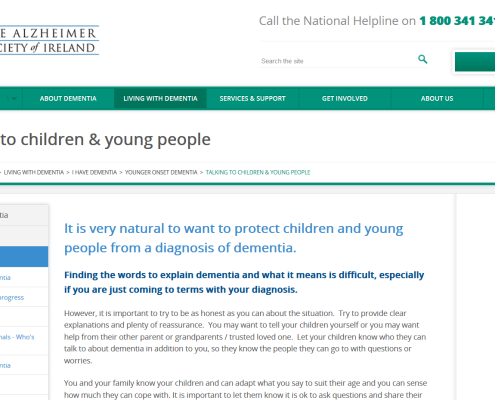 This page contains tips for explaining dementia to children. This page contains videos and resources suitable for kids and teens. 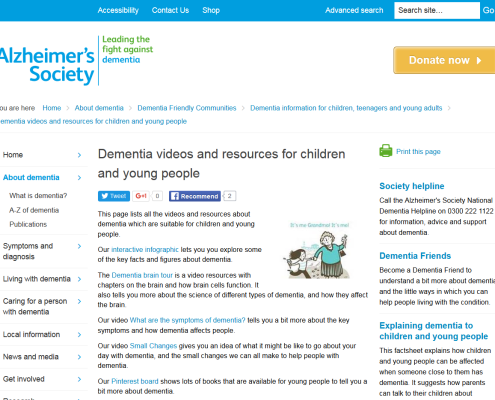 This page lists all the videos and resources about dementia which are suitable for children and young people. Looking to learn more about dementia? 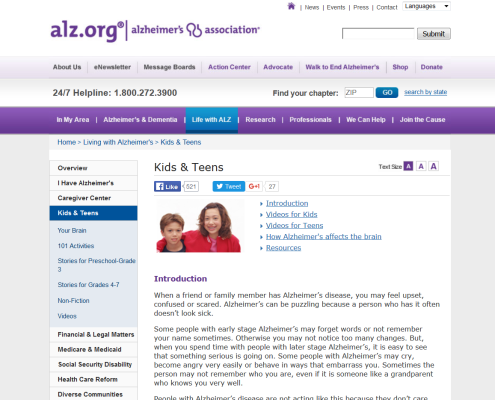 Choose your age group in this website for young people, developed by Alzheimer’s Research UK.